In 1994, 12-year-old boy soprano Bryan Wilson (born to Sheila Davis Wilson and Beau Briggs on November 3, 1981, in Danville, Illinois) stepped up to the recording microphone to lead the Mississippi Children’s Choir on His Eye Is On the Sparrow for their Malaco Records release, A New Creation. When Wilson finished, his world changed. The astounding popularity of the recording brought the pre-teen a Malaco Records recording contract. 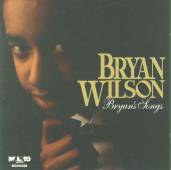 Among the producers of his 1996 debut solo album, Bryan’s Songs, were Kirk Franklin, John P. Kee and Walter Hawkins. The album scored Dove and Stellar Award nominations. 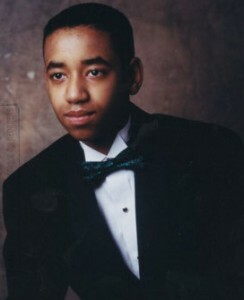 Wilson toured with top-shelf gospel artists. The YouTube video of Wilson singing the song has racked up millions of views. 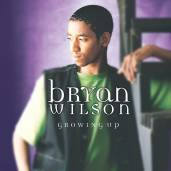 The follow-up solo album, 1999’s Growing Up, was Wilson’s last for Malaco. His voice had changed, and some fans were disappointed that he could no longer hit the high notes that brought him national attention. That’s when Wilson moved from the spotlight to the classroom. He graduated from Claflin University in 2004 with a bachelor’s degree in Religion and Philosophy, and entered Princeton Theological Seminary. Wilson contributed songs to two Time Life Music compilations, the Christmas-themed Love’s Holiday (2007) and Shoutin’ Down the Aisles (2010). Both albums made the Top 10 on Billboard’s Top Gospel Albums chart, sold more than 100,000 copies and were part of a television campaign featuring Wilson. His first album since entering college was the appropriately titled A Second Coming (Bryan’s Songs, 2008). The album’s emphasis on the Urban Adult Contemporary sound was somewhat of a departure for Wilson and received mixed reviews. But Wilson persisted. A new album, Limited Edition (Bryan’s Songs, 2012), and its easygoing, acoustic-flavored Expect You Now, expressed the singer’s optimism and joy. Its message was portentous: his songs were picked for inclusion on Kerry Douglas’ Gospel Mix Vols. V and VI compilations. The year 2014 witnessed a new full-length release called The One Percent. With its stripped-down instrumentation, Turning Away became the first single from the EchoPark JDI album, and was one of Wilson’s finest to date. It hit No. 15 on Billboard‘s Gospel Airplay chart and No. 21 on its Hot Gospel Songs chart. In 2015, Wilson received his first Stellar Award nominations in 20 years for Overflow, which featured Roderick Giles & Grace. The song hit No. 12 on Billboard’s Gospel Airplay chart and No. 20 on its Hot Gospel Songs chart. The following year, Wilson wrote Grace for gospel artist Bri Babineaux’s Billboard-topping debut album, Keys to My Heart (Tyscot).